I got attacked in war by Medieval player with a level 25 Washington. During the battle replay it took 5 hits from an AA field howitzer. 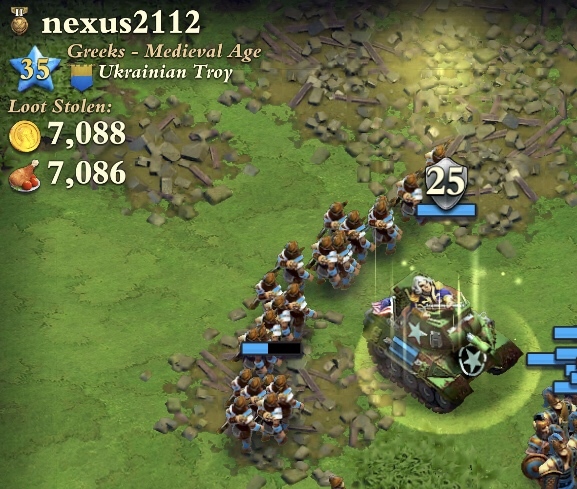 After the battle on the summary screen it appeared as level 1 casualty. The replay result matched the battle result. How is that possible? Probably cause General cards don't show their levels in battle summary. Yes, but I’m wondering if a level 25 Washington is even available to a medieval player? Cannibals it was troop card right, General card 🙄 everyone could buy it?